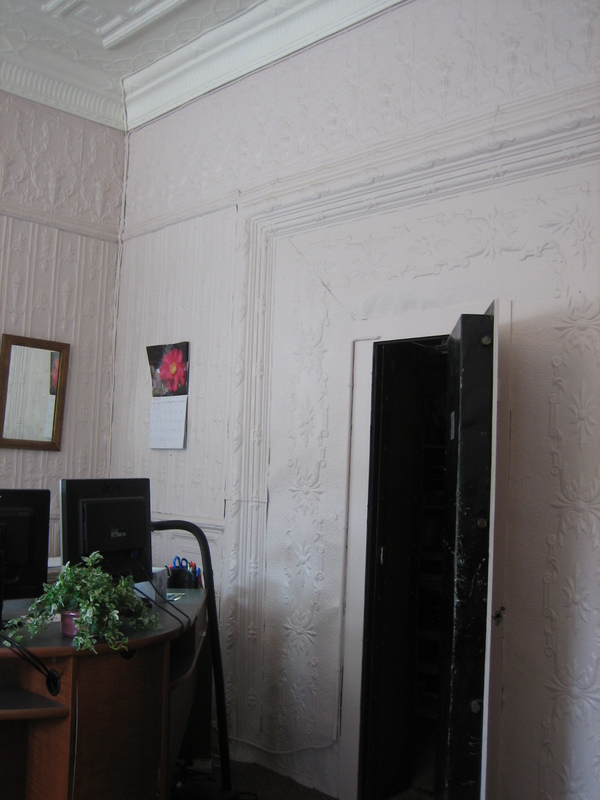 This picture is showing the original bank vault door with the pressed tin framing it. The Heritage Center Elevator Will Be Built! Local History Books on Sale in Society’s Heritage Books & Gifts shop.